William Ayto was born in Frieston in 1838. In 1863 he was working as a farm labourer in Ropsley and married local girl Mary Bullock on 20th Jan. Their son George Ayto was born in April that year but Mary died in October. William married again, to Mary Ann Adcock (also born in Ropsley) in Sep 1869. They had 5 children but all died in infancy except for their first son, John Ayto, who was born in Stoke Rochford in Oct 1869. They moved back to Caythorpe where they lived with William’s father Richard Ayto. 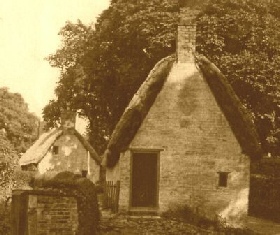 William later became a smallholder in Frieston. He retired to a cottages in Lower Road, Hough and let the neighbouring cottage to his younger son John and his wife, on the condition that they moved to Hough to look after him. William died in 1926, aged 89. George Ayto was bought up in Caythorpe, but by 1881 (aged 18) he was working as a servant in for the Harvey family in Londonthorpe village, where his cousin John was working as a waggoner. In 1889 George married Jane Anne Hackett (born Leeds). In 1891 George was a shepherd, living at Hough Grange with Jane, their baby daughter and Jane’s brother. In 1901 George was a horseman on a farm and lived in Brandon with Jane and their 4 children. By 1911 they’d moved back to Ropsley where he worked as an engine driver 1913-1921. George died in Ropsley in 1931. John Ayto married Annie Sophia Cawton in 1896. Their first child died as a baby in 1897 but their only son, John William Ayto survived childhood, as did 4 daughters. When John William was born in 1899 they were in Beeston, Notts; but in 1901 they were in Loughboorough, where John was working as a grocer’s porter. In 1911 they were living in Hough. In 1915 he was a grocer’s assistant at Clifford’s Grocery Store in Grantham, where the assistant manager was Alf Roberts, who later bought his own shop in the town, where his daughter, later Margaret Thatcher, was born. During the First World War their son, John William Ayto, joined the Sherwood Foresters (Notts and Derby Regiment, number 106692). He was killed in action 10 weeks before the armistice on 1 Sep 1918 (aged 19) while serving with 16th Battalion, Royal Warwickshire Regiment (3rd Birmingham Pals). Private Ayto (52239) may have been among the 80 casualties suffered by D Company when the Battalion was bombed by German aircraft as they were resting in reserve positions, prior to moving up to the front line to attack the next day. He is commemorated in Favreuil Cemetery near Bapaume, France. After the war John senior had a grocery business in Lincoln but later later worked for Robert Tyler, the baker at Gelston. He drove the horse-drawn bread van around Brandon, Hougham and Marston. Sadly, the next thing we know about John and Annie Ayto was their death, aged 72 and 70, during the Second World War. In 1942 they were living in one of the damp thatched cottages acquired from his father in Low Road, Hough. 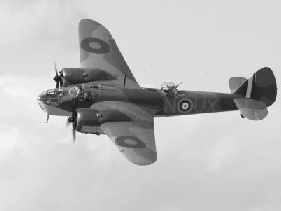 Just after midnight on the night of 8th/9th Jun, a Bristol Blenheim bomber from 18 Sqn at RAF Wattisham was on a training exercise when one of the two engines began to misfire. As the aircraft lost height the air gunner (Sgt George Crawford) baled out over Normanton Heath but the pilot (Sgt Kenneth Jones) and navigator/bombadier (Sgt Herbert Dawson) stayed in the aircraft. The Blenheim hit a power line near what’s now the playing field in Hough before crashing on the Ayto’s cottage. John & Annie Ayto and both crew members were killed in the ensuing fire.